Just before the Democratic caucus in Nevada on Saturday, presidential candidate Hillary Clinton tweeted out a video reminding caucus goers to show up at their precincts at 11 a.m. when voting began. The video starred two famous men — Clinton's husband Bill, aka the former president, and a more unexpected guest. 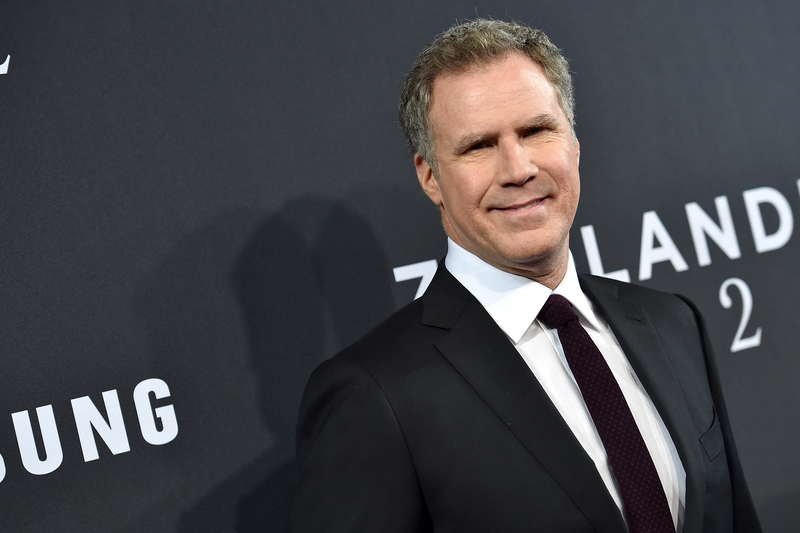 Despite having previously supported Bernie Sanders, comedian Will Ferrell starred in a Clinton campaign video. If you've been following Sanders' celebrity endorsements throughout the campaign, you might be a little tripped up by this. Ferrell was listed as a Sanders supporter on the candidate's website several months ago, along with Sarah Silverman, Danny DeVito, Mark Ruffalo, and over 100 other artists and activists. Ferrell's name no longer appears on the list, but it is unclear when he was removed from the webpage. Ferrell has been an outspoken Democrat through most of his professional career. He famously parodied former president George W. Bush during his Saturday Night Live tenure, but chose to meet the president on several occasions. "I had a couple of opportunities to go and meet him," Ferrell told The AV Club during an interview in 2008. "I declined, partly out of comedic purposes, because when I was on [SNL] at the time, it didn't make sense to really meet the people that you play, for fear of them influencing you. And then the other side of it is, from a political standpoint, I don't want to meet that guy." He also made a hilarious video to support President Obama in the 2012 election, advertising voter turnout. Factoring in his history, it's totally not a shock that Ferrell is supporting a Democratic candidate, but the alleged switch in support at this point in the campaign is a bit of a head scratcher. Given the publicity of Ferrell's initial endorsement, it's fairly surprising that he apparently decided to switch camps. Ferrell was mentioned in the headlines of nearly every article reporting on the list, and conservative talk show host Bill O'Reilly even publicly challenged Ferrell to a debate about Sanders on his show The O'Reilly Factor. Yet, admirably, Ferrell didn't let his previous endorsement stop him from reconsidering his political stance and throwing his support behind his new preferred candidate. He joined actresses America Ferrera and Eva Longoria in Nevada to stump for Clinton, along with the myriad other celebrities who have endorsed the former first lady. You might be mad at Ferrell if you're a die-hard Sanders fan, but his willingness to change his mind is actually kind of politically inspiring.